Genesis "Gigi" Mossage during the "Draft Day" ceremony Tuesday, Oct. 23. 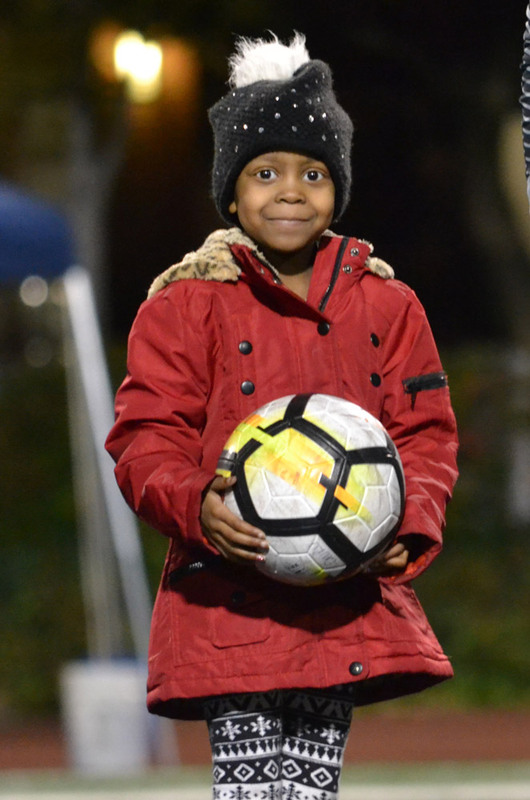 During its last home game of the season, the Case Western Reserve University women’s soccer team welcomed its newest member on the field: Genesis “Gigi” Mossage, a 5-year-old from Cleveland who was diagnosed with neuroblastoma this year. With Gigi present, the Spartans beat Oberlin College 3-0 Friday, Oct. 19. Genesis “Gigi” Mossage stands with the women’s soccer team at a recent game. And earlier this week, Gigi officially joined the team on her “Draft Day” as part of the Team IMPACT program, which connects children ages 5-16 facing serious or chronic illnesses with college athletic teams. Athletic Director Amy Backus, Head Coach Tiffany Crooks and sophomore midfielder Abby DeCicco honored Gigi in a ceremony, complete with a letter of intent signing and uniform unveiling. When Crooks showed Gigi her new jersey, a smile spread across Gigi’s face. 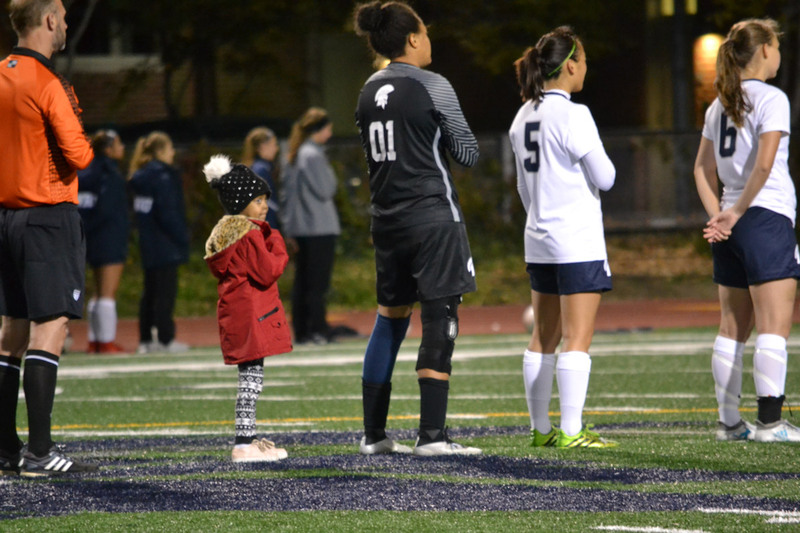 Her parents joined her on stage, while numerous family members and the entire CWRU women’s soccer team filled the audience. Crooks reflected on the attributes Gigi brings to the team, noting that she’s always willing to play and has a bright, positive attitude. As a teammate, Gigi will attend practices, games, team dinners and events. Watch Gigi’s excitement in a video of the full ceremony. Since 2011, Team IMPACT has matched nearly 1,600 children with more than 500 colleges and universities in 48 states, reaching over 50,000 participating student-athletes. 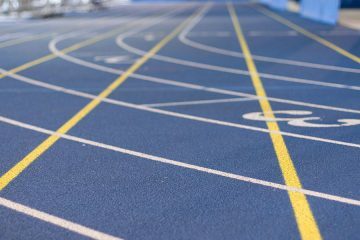 The child, according to Team IMPACT, joins the athletic team and the student-athletes join the child’s support team.